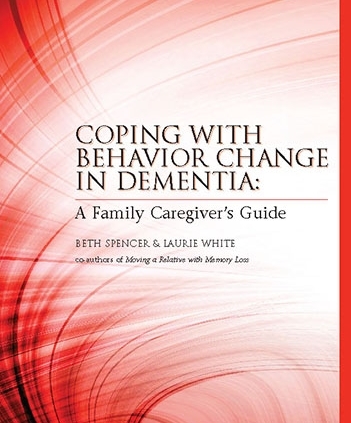 This handbook is intended to help families understand possible causes of common behavior changes and learn to respond more effectively to 12 dementia behaviors that care partners find challenging, including repetitive actions, agitation and incontinence. It is our firm belief that many of the most challenging behaviors may be minimized when caregivers learn how to identify root causes and try strategies that are known to help some people with dementia much of the time. This book is based on the premise that we all have basic human needs, including to be loved, comforted, to be productive members of our community and to feel as though we belong. We all need emotional warmth and a sense of identity. These needs are no different for someone living with cognitive loss. 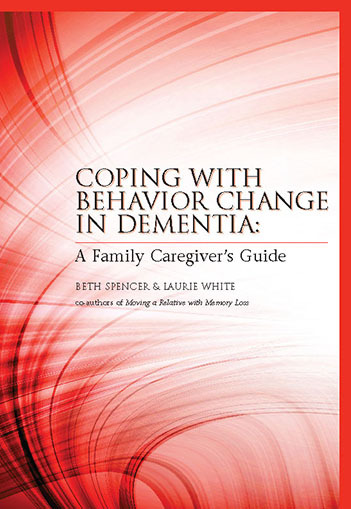 There are also sections about communication and problem-solving, a glossary and an extensive list of books, videos and other resources for people with dementia, family caregivers and health care professionals. Each behavior includes case examples from families we have worked with as well as suggestions for talking with your relative. For bulk order prices ( 20+ copies), please Contact the Authors.